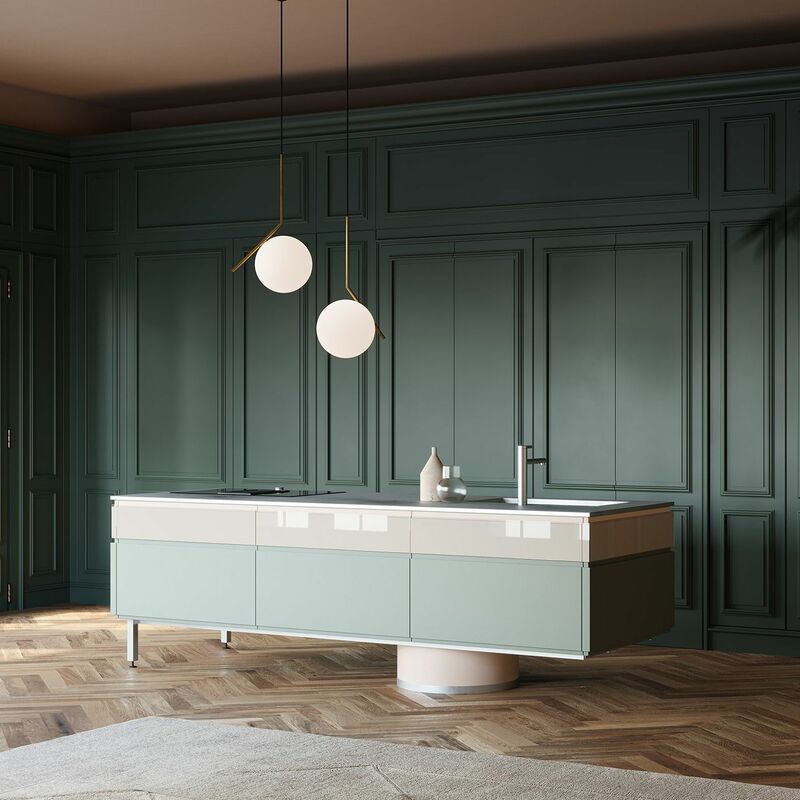 L’Ottocento shows up at Salone del Mobile 2018 in Milan with a new tailor-made furniture project for kitchen. ‘Showing influences’ is the key factor. Walls are ‘dressed’ of high wooden boiserie concealing those compartments generally devoted to cooking and creating an elegant but versatile space where tradition is tempered and renewed thanks to soft and dusty finishing and to Archetipo sleek central island element characterized by contemporary mood.